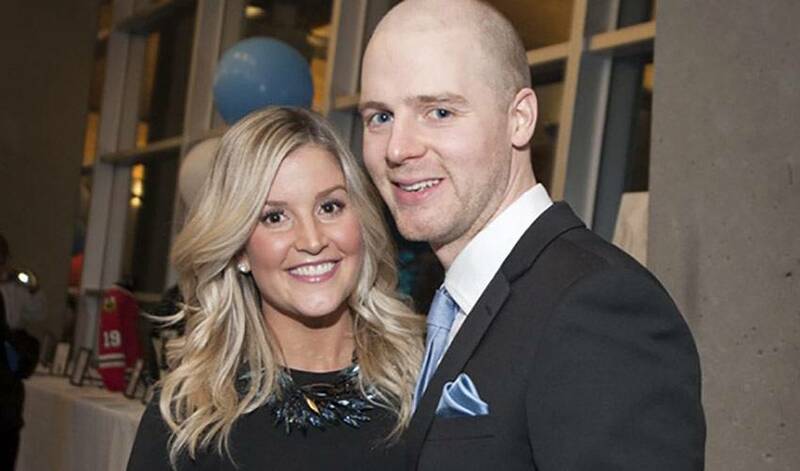 It was a fundraiser that had deeply personal ties, but Matt Stajan, befitting of his unselfish nature, instead chose to speak passionately and gratefully about the impact others had, including that of his wife, Katie. Hospital visits. Autograph signings. Charity events. Stajan, who turned 31 in December, has lent his time and support to countless endeavors since he first skated as a rookie for the Toronto Maple Leafs in 2002-2003. Every single one of them, the Calgary Flames forward admits, have been worthwhile. A Night Under The Stars, a fundraiser that took place on January 3 for the Neonatal Intensive Care Unit (NICU) at Calgary’s Foothills Medical Centre, however, was particularly meaningful. The Stajans are still deeply touched by the widespread support they are receiving from family, friends, teammates, fans and hundreds of others after their son Emerson passed away shortly after he was born in March of 2014. Less than a week ago at Canada Olympic Park, the community stepped up to help the couple raise funds and awareness for the NICU. At the end of the evening, a formal gathering that saw Calgary restaurants joining in to help, $100,000 was presented, funds that will go to the NICU through the Flames Foundation for Life. That group includes Matt’s Calgary teammates.